Chocolate: History, Culture, and Heritage. | WHY DO WE LOVE CHOCOLATE? Part Six. Colonial and Federal Eras (part 2). Chapters 28-32. Chapter 28 (Rose) considers the Dutch cacao/chocolate trade in the lower Hudson Valley of New York state during the 17th and 18th centuries, and traces purchases of raw commodities in the Caribbean to chocolate-processing in Holland, with subsequent export to North America during the colonial era. Chapter 29 (McCombs) builds upon the Dutch experience and further examines chocolate manufacturing in the upper Hudson Valley, especially the development and expansion of cocoa processing in Albany, New York. Chapter 30 (Gay) considers the rise and development of chocolate manufacturing in Philadelphia, Pennsylvania, and explores business relationships that evolved among chocolate makers, the impacts of war and peace during the Revolutionary era on sales and the changing complexity of chocolate manufacturing in this important Colonial North American city. Chapter 31 (Westbrook, Fox, and McCarty) considers military aspects of chocolate use during the Colonial Era and Revolutionary War within the Northern Frontier, especially its role as a dietary component and medical product used at Fort Ticonderoga, New York. Chapter 32 (Kelly) considers chocolate as a product commonly part of provisions taken aboard 19th century whaling ships, and how chandlers and grocers in New Bedford, Massachusetts, obtained and supplied chocolate for long-term whaling voyages. Part Seven. Southeast/Southwest Borderlands and California. Chapter 33 (Cabezon, Barriga, Grivetti) describes the earliest documented uses of chocolate in North America, associated with Spanish Florida (St. Augustine). Chocolate-related documents reveal other introductions through Texas, New Mexico, into Arizona, and show both religious and military uses of chocolate as desired energy and pleasurable products within this geographical region of the continent. The authors also identify how chocolate was used as a reward and provided to friendly Native American populations during the early years of Spanish colonization. Chapter 34 (Grivetti, Barriga, Cabezon) considers the introduction and spread of cocoa and chocolate in California, from the time of earliest European exploration, through the Mexican period, to the eve of the California Gold Rush. Their chapter draws heavily on chocolate-content in original letters penned by Franciscan Fathers who were responsible for much of the distribution of chocolate and chocolate products in California. 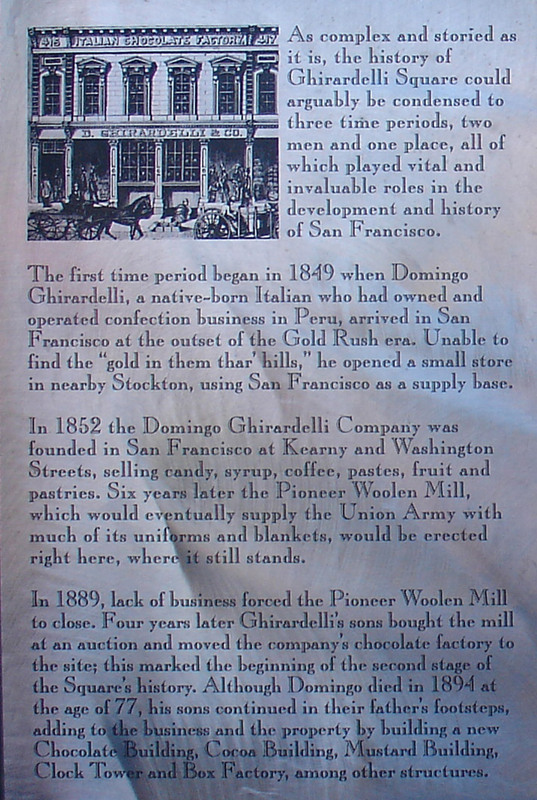 Chapter 35 (Gordon) continues the California chocolate story and explores its use during the Gold Rush and Post-Gold Rush Eras when chocolate played important roles in miners’ food patterns, and in the social life of mid-19th century San Francisco. His chapter concludes with an examination of California chocolate manufacturing from its beginnings to a place of prominence in the 21st century.